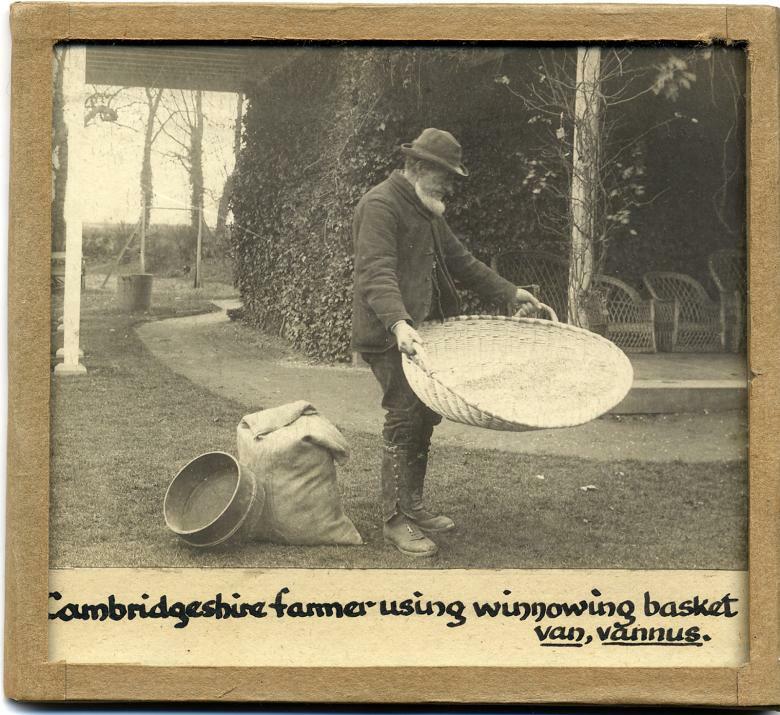 1903.44.2 Man using a winnowing basket, Cambridge. Photo purchased from Francis Darwin. The funding of the 'Other Within' project, and therefore this website, is gratefully acknowledged. The Pitt Rivers Museum at the University of Oxford is one of the foremost ethnographic museums in the world. It is known for having many thousands of objects on display from all corners of the globe, and from all periods of history. However, it does have surprisingly large collections of artefacts, photographs and manuscripts from England. This resource was created as part of the ESRC-funded Other Within research project which ran from April 2006 to end March 2009. 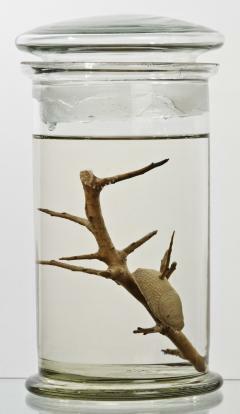 The project was set up to explore the English collections and what they can now tell us and was based at the Pitt Rivers Museum of the University of Oxford.The key members of staff and others associated with this project were: Dan Burt, Chris Gosden, Rachel McGoff, Alison Petch, Peter Rivière, Chris Wingfield but they were supported by an army of volunteers and other interested researchers, all of whom the core team thanks warmly. The project research and website was given an OUTSTANDING rating by the funding body's [ESRC] final project assessment announced on 20 January 2010. Please note: Certain sections of this website, largely the ones that are generated through databases like the mapping, and the people database cannot now be updated [from 2011] due to technical problems. 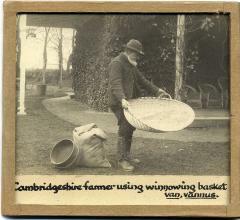 From time to time visitors to the site are able to provide updated information about individuals and objects connected to the English collections at the Pitt Rivers Museum, these are very useful to the museum so please continue to send them to prm@prm.ox.ac.uk. See left for a series of links to some interesting English objects in the collections and a series of themed articles. An outside assessor has commented that these pages contains 'an extraordinary range of artefacts and themes', which we hope readers will enjoy and find useful. Read a selection of statistics about the collections created from the datbases during the research project. This website was the major outcome of the 'Other Within' project, completed during the lifetime of the project. Petch. 2008 'Measuring the Natives: Beatrice Blackwood and Leonard Dudley Buxton's work in Oxfordshire' History of Anthropology Newsletter, 35: 1 July 2008. Coote, Petch & Wingfield, 'Museum Ethnography at Home: An Introduction'. Journal of Museum Ethnography 22: 3-8. Wingfield. 2009. 'Is the Heart at Home? E.B. Tylor’s collections from Somerset'. Journal of Museum Ethnography 22, 22-38. 2012. [in press] With Chris Gosden. 'An Imperialist Folklore? Establishing the Folk-lore Society in London'. In Folklore and Nationalism in Europe during the Long Nineteenth Century (eds) T. Baycroft and D. Hopkin. Leiden: Brill. 2011. 'From Greater Britain to Little England: the Pitt Rivers Museum, the Museum of English Rural Life, and their Six Degrees of Separation'. Museum History Journal 4:2, 245-265. 2011. 'Placing Britain in the British Museum: Encompassing the Other'. In National Museums: New Studies from Around the World (eds) P. Aronsson, A. Amundsen & S. Knell, 123-137. London: Routledge. 2010. 'A Case Re-opened: The Science and Folklore of a “Witch’s Ladder”'. Journal of Material Culture 15:3, 302-322. Find out about citing the Other Within website pages here. The copyright for the contents of this site reside with the Pitt Rivers Museum, University of Oxford. The project's databases have been extensively analysed.